A reliable source for Cardboard Cores information and a resource for accessing leading Cardboard Cores and suppliers. 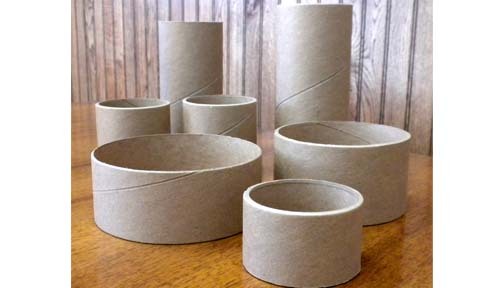 Cardboard cores are cylindrical paper products used in a broad range of industrial and commercial applications. These tubular paper products are most often used as a sturdy central base around which different materials can be wound, but due to the diversity of cardboard cores, they can be used for anything from shipping to construction. 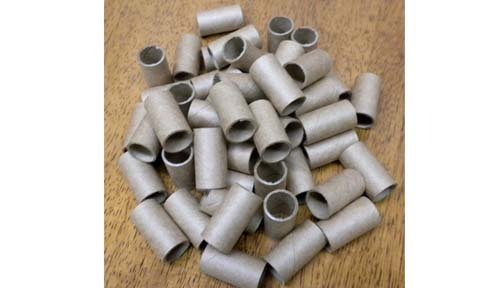 Cardboard Cores Cardboard cores are cylindrical paper products used in a broad range of industrial and commercial applications. These tubular paper products are most often used as a sturdy central base around which different materials can be wound, but due to the diversity of cardboard cores, they can be used for anything from shipping to construction. The core's diameter is determined based on the diameter of the rod around which the cardboard fiber is being wrapped. As more of the fibers are being wrapped, the tube slowly moves along the rod, continuously increasing the length of the rod. Once the desired length is achieved, the tube is cut, and the next tube continues where the severed tube left off. The thickness of the core is determined by the number of layers added to the tube. Cardboard fibers are typically stored in large rolls, and multiple rolls can be used simultaneously to wrap additional layers as the core is created. The larger the thickness of the core the stronger and more durable it will be. When purchasing cardboard cores, these three features should always be considered in order to find the right core for your applications. Cardboard cores are particularly useful for storage and retrieval applications. Products that come in sheets are commonly wrapped around cardboard cores. This makes it incredibly simple and efficient to access specific amounts of the product. Many household products utilize paper cores for this purpose. Familiar items include toilet paper, aluminum foil, paper towels, wax paper, and wrapping paper. Industrial companies use cardboard cores for the same purpose, but they also use them to store and ship finished products. Wrapping products in this way allows the product to make it to the customer in much better condition as it keeps the product from tearing, crinkling, or knotting. While similar cores are made from plastics, cardboard cores are much more affordable and provide a more sustainable option.